‘Always use all the resources available to you’ is one of those resolutions I ended up making after posting more than a few notes about Italian wine. So, this time I got smrt. Yes, S M R T. I asked Marta Chiavacci, FiSAR Sommelier of the Year (2007), CSW and FWS for a little Italian input. 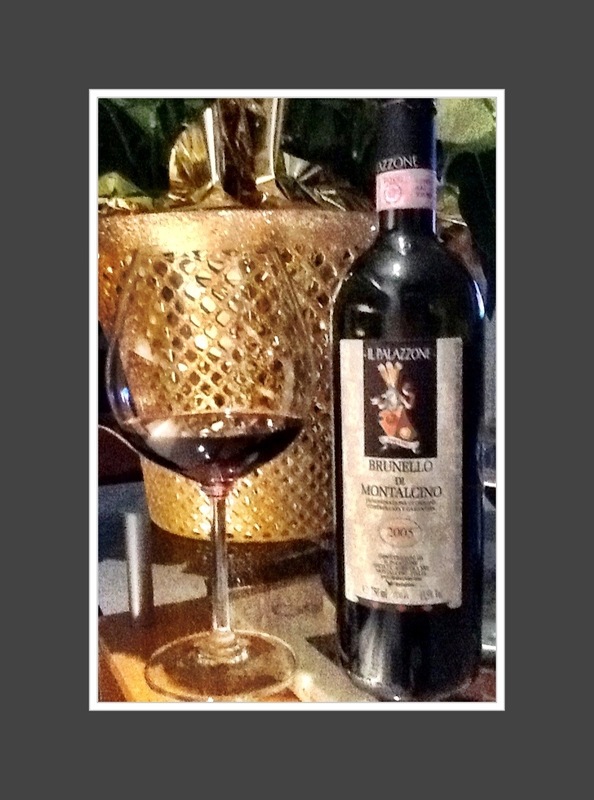 Happily, she put her stamp of approval on the following Brunello di Montalcino note. is one of the youngest. The Biondi-Santi family first bottled and sold this Brunello di Montalcino in 1888 and established its prestige; there are still 5 bottles left of that first illustrious vintage. The Biondi-Santi family were the only producers of this wine until after WW2, there were only 4 vintages declared in its first 57 years. Brunello is the Sangiovese Grosso grape, a clone of Sangiovese, and is termed ‘Grosso’ because its grapes are larger than the Sangiovese found in Chianti. In fact, the Grosso was created by Ferruccio Biondi-Santi around 1870 and ended up being more resistant to phylloxera than the other Sangiovese clones. Climate is crucial to the characteristics of this wine. Grown in Montalcino, about 120 km south of Florence in Tuscany, where it is drier and warmer, the cool maritime breezes and cool evenings mean there is little danger of rot here and the Sangiovese Grosso reaches maximum ripeness. The wines often reach well north of 14% abv. week later in the warmer southern Colle which has more clay. Many producers combine wines from both for balance in the final product. The Oxford Companion to Wine states that under the DOCG rules in effect since 1998, the wines must be aged in ‘Barica Bordelesa’ (225 litre oak casks) for 2 years total before they may be released. However, other sources (the DOCG laws themselves for one) indicate Brunello may be aged in any size of oak vessel for a minimum 2 years in oak and 6 months in bottle. They cannot be sold before January 1 five years following the harvest meaning that this year, the 2009 can be sold. Riservas take an extra year. (raspberry and cherry), some dried plum and black currant, purple flowers (violets), kid glove leather, vanillin and oak. medium plus alcohol, medium body and medium plus flavour characteristics of more ripe red fruit (raspberry, cherry, red plum), iris and violet floral notes, savoury leather and earth with a medium plus finish. finish would have enabled a higher rating. Drink now or continue to hold for another 2-3 years; there is just enough acidity and tannin left to eek out that long. Great wine. This entry was posted in Italy, RED, Sangiovese Grosso (Biondi-Santi). Bookmark the permalink.